Thats all. Game finished - Sporting CP 0, Villarreal 1. Second Half ended - Sporting CP 0, Villarreal 1. Missed chance. André Pinto - Sporting CP - shot with the head from the centre of the box missed to the left. Assist - Bruno Fernandes . Wendel - Sporting CP - won a free kick in attack. André Pinto - Sporting CP - won a free kick in defence. Luiz Phellype - Sporting CP - receive yellow card for a foul. Ramiro Funes Mori - Villarreal - won a free kick in defence. 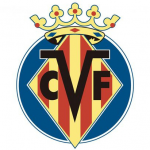 Delay in match Raba - Villarreal - - injury. Bruno Fernandes - Sporting CP - receive yellow card for a foul. Raba - Villarreal - won a free kick on the left wing. Santiago Cáseres - Villarreal - receive yellow card. Santiago Cáseres - Villarreal - won a free kick on the left wing. Delay in match Álvaro González - Villarreal - - injury. Bruno Fernandes - Sporting CP - won a free kick in defence. Mario Gaspar - Villarreal - won a free kick in defence. Bruno Fernandes - Sporting CP - won a free kick in attack. Missed chance. Miguel Luís - Sporting CP - shot with right foot from outside the box is high and wide to the right. Assist - Stefan Ristovski. Substitution - Villarreal. Vicente Iborra for Pablo Fornals. Carlos Bacca - Villarreal - won a free kick in defence. Second yellow card to Marcos Acuña - Sporting CP - for a foul. Raba - Villarreal - won a free kick in defence. Raphinha - Sporting CP - won a free kick on the right wing. Raphinha - Sporting CP - hits the right post with a shot with left foot from the right side of the six yard box. Assist - Bruno Fernandes with a cross after corner. Corner - Sporting CP. Conceded by Alfonso Pedraza. Substitution - Villarreal. Raba for Samuel Chukwueze. Andrés Fernández - Villarreal - receive yellow card. Substitution - Sporting CP. Wendel for Radosav Petrovic. Substitution - Sporting CP. Luiz Phellype for Jovane Cabral. 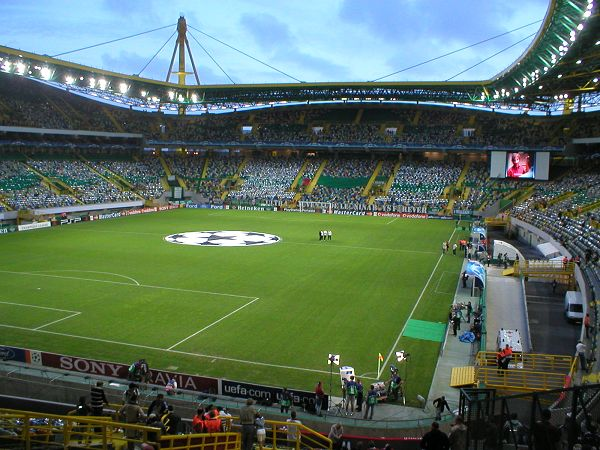 Corner - Sporting CP. Conceded by Andrés Fernández. New attacking attempt. Bas Dost - Sporting CP - shot with left foot from the centre of the box is saved in the top centre of the goal. Assist - Raphinha. Corner - Sporting CP. Conceded by Álvaro González. Missed chance. Carlos Bacca - Villarreal - shot with right foot from the left side of the box missed. Assist - Pablo Fornals. Raphinha - Sporting CP - won a free kick in defence. Substitution - Villarreal. Santiago Cáseres for Manu Trigueros. Missed chance. Alfonso Pedraza - Villarreal - shot with left foot from the left side of the box missed. Álvaro González - Villarreal - won a free kick in defence. New attacking attempt. Sebastián Coates - Sporting CP - shot with right foot from the right side of the box is saved in the left corner. Assist - Miguel Luís. Missed chance. Jovane Cabral - Sporting CP - shot with right foot from outside the box missed to the left. Jovane Cabral - Sporting CP - won a free kick in attack. Missed chance. Manu Trigueros - Villarreal - shot with right foot from a diffucult position and long distance on the left is close, but missed to the left from a free kick. Carlos Bacca - Villarreal - won a free kick on the left wing. Corner - Villarreal. Conceded by Romain Salin. New attacking attempt. Pablo Fornals - Villarreal - shot with left foot from the left side of the box is saved in the left corner. Assist - Alfonso Pedraza. Carlos Bacca - Villarreal - won a free kick on the right wing. Second Half starts Sporting CP 0, Villarreal 1. First Half ended - Sporting CP 0, Villarreal 1. Offside - Villarreal. Víctor Ruiz with a pass, however Carlos Bacca is in offside. Raphinha - Sporting CP - receive yellow card for a foul. Alfonso Pedraza - Villarreal - won a free kick in defence. Corner - Sporting CP. Conceded by Víctor Ruiz. Shot blocked. Jovane Cabral - Sporting CP - shot with right foot from the centre of the box is blocked. Assist - Stefan Ristovski. New attacking attempt. Jovane Cabral - Sporting CP - shot with right foot from outside the box is saved by goalkeeper in the centre of the goal. Assist - Miguel Luís. Corner - Sporting CP. Conceded by Javi Fuego. Stefan Ristovski - Sporting CP - won a free kick on the right wing. Shot blocked. Sebastián Coates - Sporting CP - shot with right foot from the right side of the box is blocked. Missed chance. Radosav Petrovic - Sporting CP - shot with the head from the centre of the box is high and wide to the right. Assist - Marcos Acuña with a cross . Marcos Acuña - Sporting CP - won a free kick on the left wing. Substitution - Sporting CP. Stefan Ristovski for Bruno Gaspar - injury. 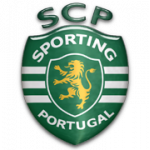 Delay in match Bruno Gaspar - Sporting CP - - injury. Corner - Villarreal. Conceded by Marcos Acuña. Missed chance. Bruno Fernandes - Sporting CP - shot with right foot from outside the box missed to the left. Assist - Bas Dost. Bruno Fernandes - Sporting CP - won a free kick on the right wing. Carlos Bacca - Villarreal - won a free kick in attack. Miguel Luís - Sporting CP - receive yellow card for a foul. Jovane Cabral - Sporting CP - won a free kick on the right wing. Miguel Luís - Sporting CP - won a free kick in defence. Delay in match Raphinha - Sporting CP - - injury. Marcos Acuña - Sporting CP - receive yellow card. Goal! Sporting CP 0, Villarreal 1. Alfonso Pedraza - Villarreal - shot with left foot from the centre of the box to the right corner.